After my wife, Kate, and I visited Hawaii in late 2016, we immediately began thinking about our next island vacation. It seemed like everything we did in Hawaii was better than we expected it to be. We witnessed manta rays feeding while we were on a nighttime scuba dive, encountered an endangered Hawaiian Monk Seal on an earlier scuba dive, snorkeled with wild dolphins, rode bicycles to witness lava flow into the ocean, discovered how much we love lilikoi, and drank the smoothest cup of coffee we’ve ever had at a Kona coffee farm. 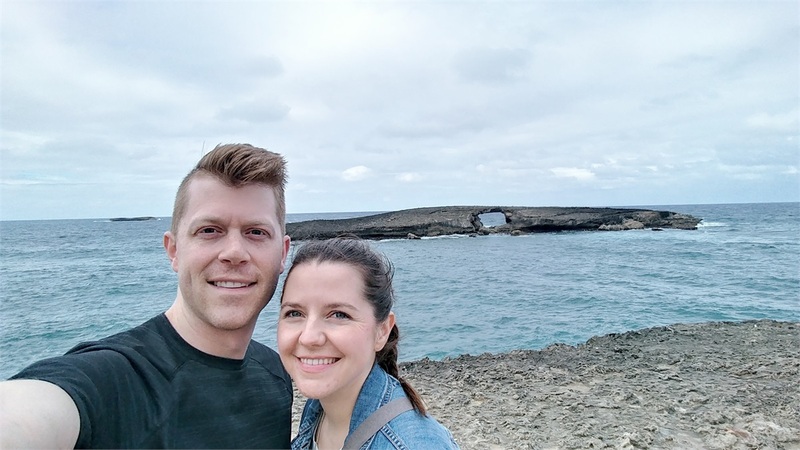 We visited the island of Hawaii (aka The Big Island), and it was an experience we’ll never forget. So, you may understand why we wanted to go back as soon as possible. There were two problems. First, we had a couple of other vacation destinations in mind already. Second, Hawaii is expensive! Flights, lodging, and food add up, and cost notably more than other warm-weather vacation destinations in the U.S. like California or Florida. If we were going to Hawaii again soon, and if we also wanted to go to Europe in 2017, we needed to find ways to reduce the cost of the trip. Our solution, as you may have guessed if you are a regular blog reader, was to use credit card points and other deals to pay for our travel. We had done a little of that in 2016, but weren’t as experienced with “travel hacking” as we are now. So, for your benefit, I want to tell you exactly what we did, and hopefully you can be a savvy traveler and save some money on future vacations. I already mentioned this, but the most important thing we did to reduce our costs on our trip was to set a travel goal. It may seem simple, but when it comes to using points, taking advantage of the best deals starts with having a destination in mind. Our travel goal was to go to Hawaii. 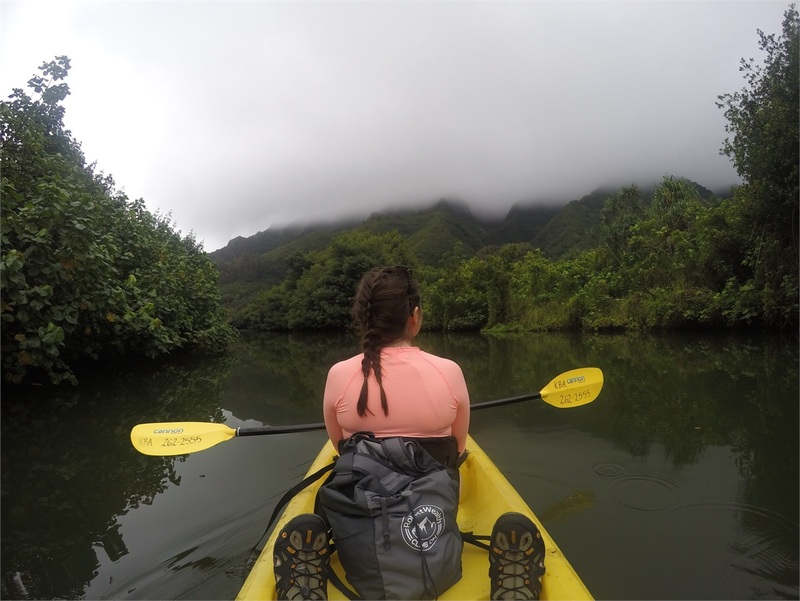 This time, we wanted to go to O’ahu, which would be a very different experience from The Big Island. With our destination in mind, we could consider what airlines fly to Hawaii, and how to use points effectively on those airlines. The flights to Hawaii, after all, could end up being the most expensive part of our trip. One of the best ways to get to Hawaii for not a lot of money is on Alaska Airlines because of their companion fare. If you have the Alaska Airlines credit card, a guest can accompany you for only $99 plus taxes and fees. Last year, though, they had a signup bonus for the credit card that included a companion fare for $0 plus taxes and fees, plus 30,000 bonus miles. Another perk of Alaska Airlines is that its easy to book a stopover flight. A stopover is when you spend a day (or a few days) at a connecting city on your way to your final destination, without having to pay anything extra. Last summer, I signed up for the Alaska Airlines credit card, spent enough on the card to earn the signup bonus, then we booked flights. One round-trip ticket to Honolulu from Omaha was about $800 (yikes), so we paid that, but then got the companion fare for just the cost of taxes and fees (about $30). That’s a huge savings! On the return flight, we booked a stopover in Seattle where my wife has some relatives. We were able to spend a day with them on our way back to Omaha, which helped us adjust to the time change. 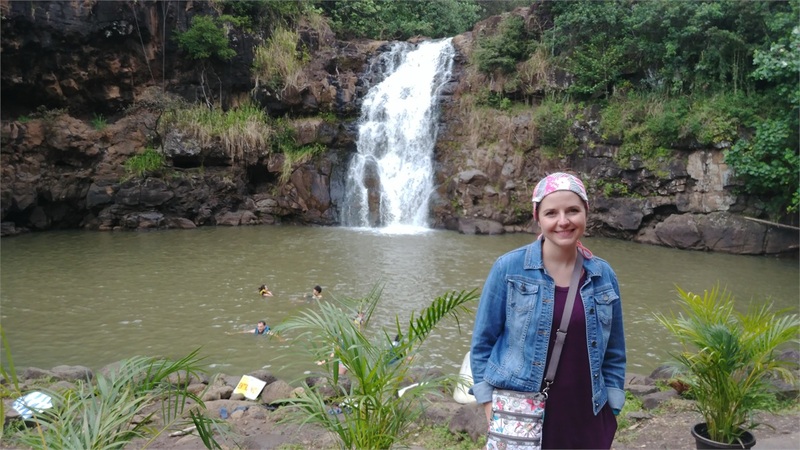 Kate has a close friend who has MVP® Gold status with Alaska Airlines, which gives him guest upgrades that he can give to family and friends who aren’t flying with him. He was kind enough to gift us an upgrade to first class on our flight from Seattle to Honolulu using his guest upgrades. The other major cost of our trip was going to be lodging. 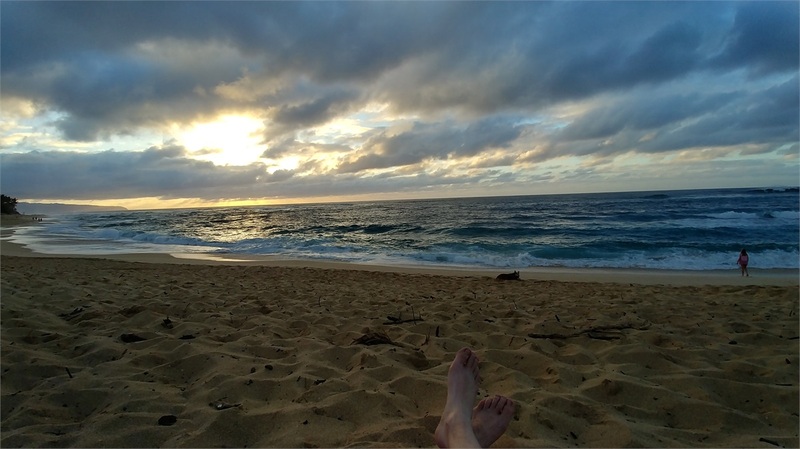 We wanted to experience Hawaii as a local (or perhaps more accurately, less like a tourist), so we opted to stay in an AirBnB for four nights. Our room was a little guest house in Kailua that included a bed, living space, kitchen, bathroom, and laundry facilities. It also came with a beach umbrella and beach chairs, which cuts the cost of renting or buying those items at the beach. We loved being able to make some of our own food, do a couple of loads of laundry to get the sand out of our swim trunks and towels, and feel like we had our own little home away from home for a few days. Not only does this provide an experience that is much different than the polished (some would argue inauthentic) experience of a resort, it also substantially cut down on the cost. We paid with cash instead of points for our AirBnB (a rarity for us), but we could have redeemed some of our Chase Ultimate Reward points for AirBnB gift cards, and then turned around to use the gift cards to book our room. Instead, we decided to save our points for other purchases. Redeeming Chase Ultimate Reward points for AirBnB gift cards isn’t all that great of a value. Another way we saved on the cost of lodging was to use a couple of free nights we had earned at Hyatt. By “earn”, I just mean we have the Hyatt credit card, which gives us one free night per year at any category 1-4 Hyatt. We each have our own card, so we had two free nights to use. We stayed at the Hyatt Place at Waikiki Beach using those reward nights. Hyatt Place is actually the cheapest of the Hyatt brands, but we like staying at their properties. They’re not as luxurious as other Hyatt brands, but our room met our needs – a comfy bed, a clean room, and friendly service. We had a nice ocean view room with a King size bed. Hyatt Place also offers a pretty good hot breakfast for World of Hyatt members, which reduced food costs. The room we stayed in would have been about $240 per night had we paid with cash. The cost of the Hyatt credit card is $75 per year, so the net savings was about $330 for the two nights combined. During our stopover in Seattle, we stayed at a LaQuinta at the airport, and we booked that with Chase Ultimate Rewards points. The LaQuinta, in my opinion, is a step down from the Hyatt Place, but again, it met our needs. We just needed a place to sleep, and the bed was actually quite comfortable. That room would have been about $150. Finally, we also saved on lodging by taking a red-eye from Honolulu back to Seattle. We left at 10:30 p.m., and arrived in Seattle around 6:30 a.m. We didn’t really book a red eye to save money, we did it to maximize our time in Hawaii. I expected that to be rough, because I’m a light sleeper and am rarely able to sleep on an airplane. As expected, it was thoroughly unenjoyable. Thankfully I was able to sleep for most of the flight, which was a huge surprise, but it was terrible quality sleep. For our rental vehicle, we booked using the Chase Ultimate Rewards website. We each have the Chase Sapphire Reserve card, which allows us to redeems points through their website and increases the value of our points by 50%. The Reserve card also gives us certain qualifying statuses with a couple of different car rental agencies, which would allow us to book directly through them at reduced rates. However, rather than using our status to get a reduced rate and pay with cash, we preferred to pay with points, so we didn’t use the status perk. When people complain about the cost of a trip to Hawaii, they usually complain about food costs. That’s a very real thing. However, there are ways to combat high food prices. For one, don’t eat every meal at a resort. Resort restaurant prices can be ridiculous, in my opinion. Some offer good enough food and service to justify their prices, but others just charge for the location. We treated ourselves to a couple of nice meals at expensive restaurants, but if you stay at a resort and exclusively use their restaurants, you’re not only missing out on great off-site restaurants, you’re doing your Hawaii vacation in one of the most expensive ways possible. Another way we reduced food costs was by heading to Costco and a local grocery store the first full day of our vacation. We bought bottles of water, cans of lilikoi juice, some breakfast food to cook at our AirBnB, lunch supplies for when we were at the beach, and gifts for some family back home. Plus, as I mentioned earlier, our Hyatt Place included free breakfast for the two nights/mornings we stayed there. Purchasing groceries for some meals allowed us to be more flexible with our other meals. We enjoyed a handful of meals at pretty nice restaurants, and were able to treat ourselves to whatever we wanted on the menu without having to feel guilty about blowing our budget. Even though we had breakfast covered for every meal, we still ate at a well-reviewed breakfast restaurant so we could have some lilikoi pancakes, Portuguese sausage, and some pork eggs benedict. Buying groceries allowed us to splurge when we wanted to. The last way we saved money on food was by visiting an airport lounge in Seattle on our three-hour layover in Seattle from Omaha to Honolulu. I mentioned earlier that the we each have the Chase Sapphire Reserve card. That card gives us Priority Pass lounge memberships, so we spent a couple of hours in a lounge enjoying complimentary food and drink while we were there. Honestly, I’m not aware of any ways to game the system when it comes to excursions and other activities. 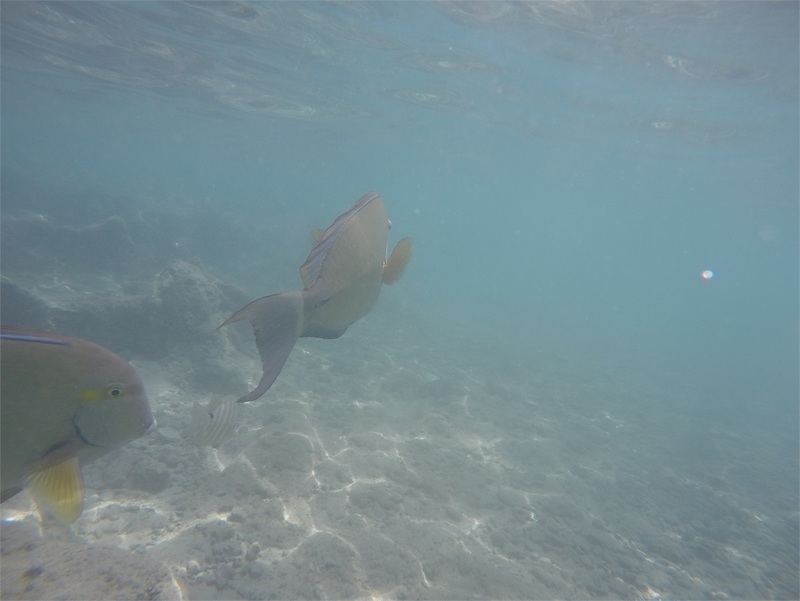 If you have figured out a way to go on a two-tank scuba dive from a boat for less than $125/person, snorkel in Hanauma Bay State Park for cheaper than the standard entry fee, or rent a kayak for half a day at less than $50, I’d love to hear how you did it. Some things just cost money, plain and simple. We did use an O’ahu travel guide book to compare prices of different rental companies, but that’s about all we did. And honestly, at some point, you just need to enjoy your vacation instead of spending time trying to save $5 on a kayak rental. Could we have done better? Absolutely. We could have used points for the AirBnB, and we could have eaten at less expensive restaurants. We probably could have done better on the airfare if we spent more time trying to time our purchase or signed up for different credit cards and then booked flights exclusively with points. At some point, though (pun intended), you just have to enjoy yourself. If you get even one free night at a hotel or use points to pay for a car rental, you can be happy knowing you’re being a savvier traveler than most, and you’re stretching your travel budget. I’m writing that advice primarily to myself. I have a bad habit of kicking myself when I don’t optimize the value of points, don’t use the right credit card for a purchase, or don’t buy a ticket at the most opportune time. That can detract from the enjoyment of travel. Besides, what’s the best part of traveling, anyway? Do Kate and I travel just so we can shop deals? Absolutely not! We shop deals so we can have more experiences that wouldn’t be possible without traveling. One day during our trip, we hiked to Ka’ena Point, which is the northwest tip of O’ahu. You can only get there by hiking. We knew it would be fun, but we didn’t know how much we would really enjoy it. About a mile in to the 5-mile hike, we caught a glimpse of a whale tail, which was just a taste of what would come. At mile 2.3, we found ourselves experiencing Albatross nesting season, which was spectacular. The large white birds were gliding right over our heads, making whistling sounds I haven’t heard from any other bird. Some were performing what appeared to be mating dances, clicking their beaks, and whistling at the sky above them. We also encountered a baby Albatross that was nesting safely beneath a bush. Soon after, we made it to the point itself, and with waves coming from all directions crashing on to the shore, the might of the ocean was a humbling sight to see. 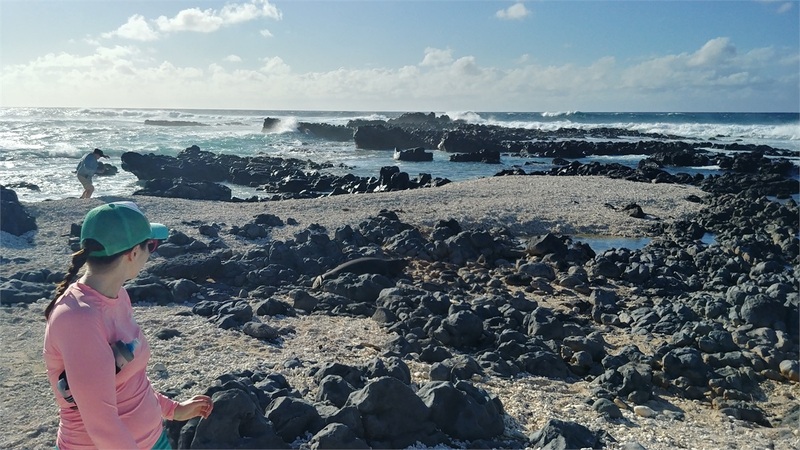 On the rocks nearby, we witnessed a Hawaiian Monk Seal just chilling in the sun. He was only feet from us, which we didn’t realize because he blended in with the rocks. Then came what was probably the best part of the trip. In the horizon, we saw a humpback whale breach. Then, for about the next 10 minutes, about every 20 seconds we saw a whale breach. Even though they were pretty far away, we could see the water splash because of their enormous size. I had never experienced whales breaching before, and it’s hard for me to describe the feeling I got when I was watching one of the largest mammals play in the ocean. By the way, how did I know exactly how much I spent on the trip? I use YNAB! If you need to try something new for budgeting, I highly recommend it. If you’re a financial planning client, I’d be happy to help you get set up with YNAB and help you learn how to better use it.